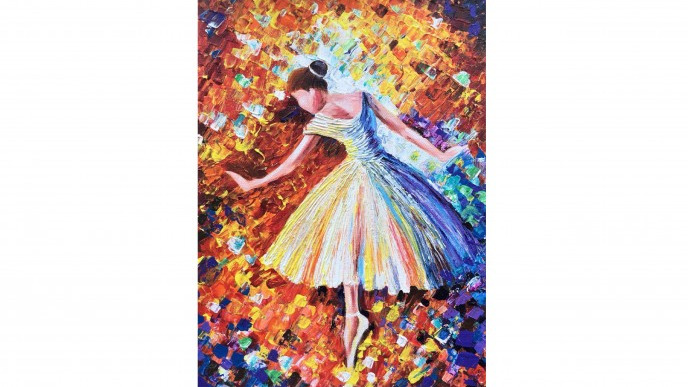 Paint the “Ballerina” using palette knife and acrylic paints on canvas and explore your creativity through art. This will be a guided session, where you will learn to make strokes and learn techniques using a palette knife with acrylics on canvas. Don’t worry, no prior painting experience required. As always the cost of the workshop is inclusive of canvas, art supplies and food and beverages. You can also visit Artist Kamalrukh Gotla’s Facebook page or Instagram to see how she conducts her workshops. Come-socialise-paint-munch and take a beautiful piece of art home! Share "Palette Knife painting of Ballerina by Kamalrukh"